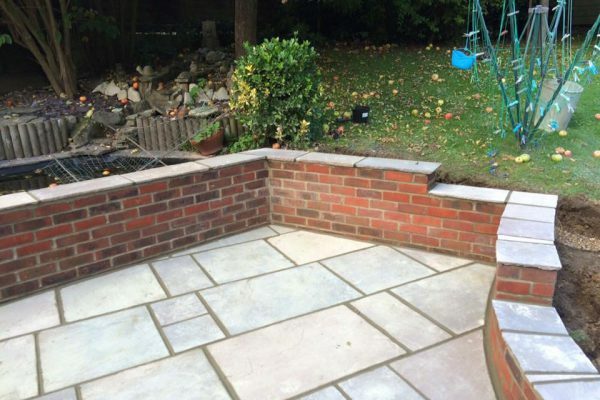 This customer was looking to modernise their back garden and have an area to be used all year round. 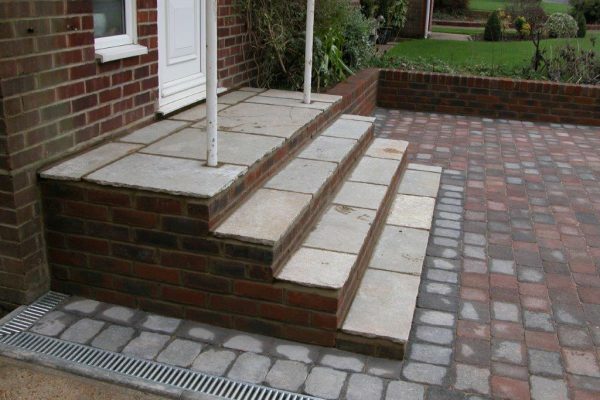 They liked the idea of a two tiered patio, with a larger area at the top leading on from their property and a step down onto a smaller area which would end with a paving circle. 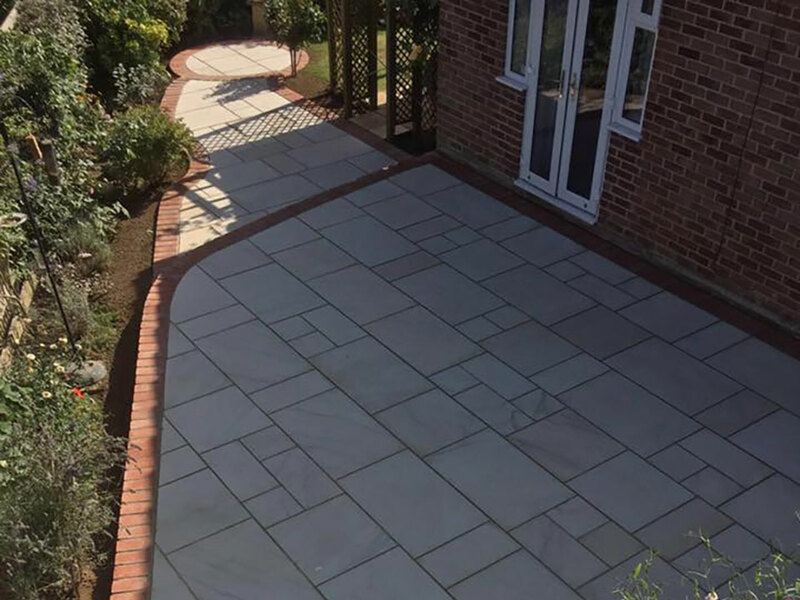 We used Elite Polished Sandstone in the colour Fossil Mint. 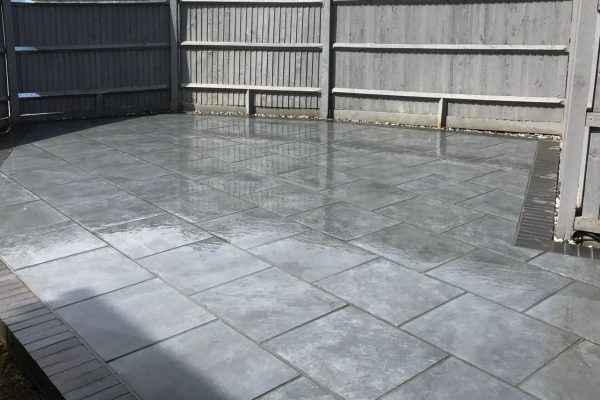 These pavers are smooth with a sleek edge finish which immediately adds a touch of class and perfection. 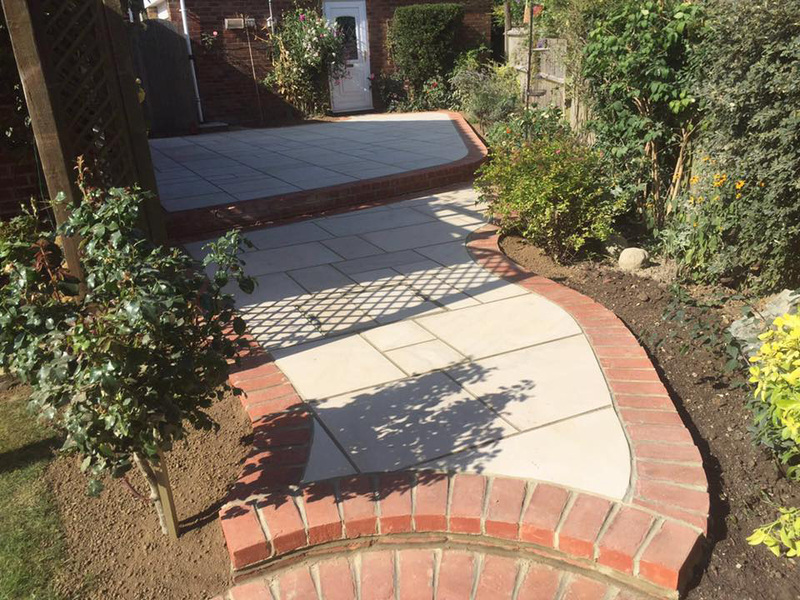 After excavating the grassed area that was currently in place, we laid these pavers onto a concrete sub base and used a contrasting Parham Red border.